As luck would have it, I was in San Diego for spring break during the dead week of Coachella to see the recently reformed Ride, OG shoegazers from Oxford. The dead week is the week between the two Coachella weekends where bands if they’re lucky book shows in San Francisco, San Diego, Pamona, or anywhere but Los Angeles due to contractual restrictions of playing that giant festival in the desert. Having lived in San Diego for 11% of my life I wasn’t completely surprised when I arrived to see that the venue was mostly empty. Shows that routinely sell out places like the Showbox or the Neptune here in Seattle barely fill the Casbah in San Diego which is about he size of the Sunset in Seattle. To be fair, there had been problems with buying advanced tickets through Ticketmaster up until a few days before the show. Humphreys By the Bay holds about 1500 and is a place that usually hosts acts like the Steve Miller Band, Chicago and Boz Scaggs. The venue is nestled in palm trees and sail boats on San Diego bay. I don’t think I’ve been to a nicer place to see a show. 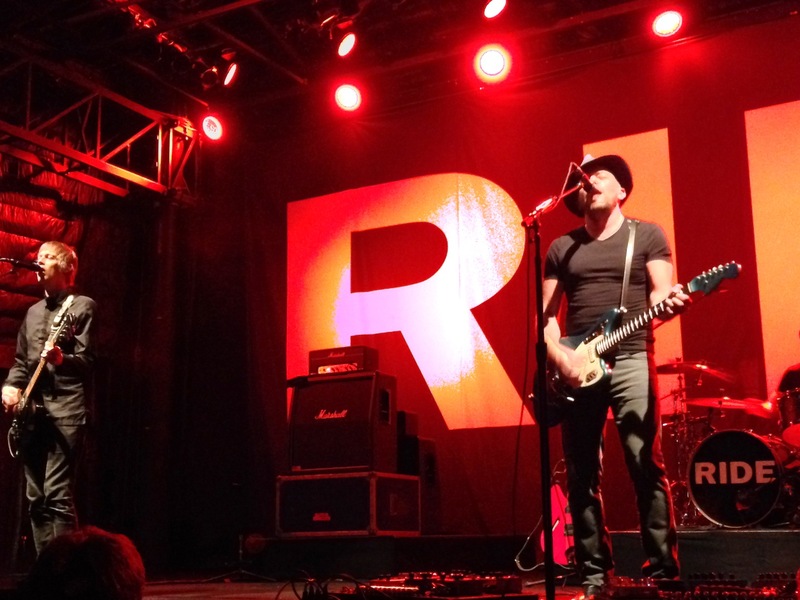 Ride, having recently reformed, had only played a handful of shows prior to this one, but they were in top form. Unaffected by the poor turn out, the band still seemed be energized to be playing for the meager crowd that San Diego offered up. They opened the set with a surprise. Nowhere the title track from their 1990 debut album is a meandering song that closes the album and hadn’t been played yet at one of their reunion shows. It was nearly twice as long as its recorded version and acted as warm up for both band and crowd. It ebbed and flowed like the monster wave on the album cover, creating an ominous feel in among the palm trees that surrounded the venue. Andy Bell and Mark Gardner wove their guitars into surges and then let it go all hazy as the song washed over everyone. They quickly followed with Seagull which sent a burst of lightening into everything. Steve Queralt delivered that sinewy bass groove for everything to wrap itself around while Andy Bell playing a twelve string guitar and made everything go hallucinogenic. The younger me was always enamored by the guitars of Bell and Gardener, but the older me realized that the reason Ride were so good on their first two albums was due to the drumming of Loz Colbert and Queralt’s bass. Loz resembles Stuart Copeland in his look and style. It’s an adrenaline filled delivery that hasn’t lost a step in 20 years. It’s almost like he’s playing to a different song sometimes, and he’ll seemingly pull the band into the breach with him. Queralt often-times was laying down a guitar like riff with his bass that propelled the songs while Bell and Gardener were left free to make their squalls of noise with no concern for melody thanks to him. The set list was hard to argue with. They only played one post Going Blank Again Song (Black Night Crash) and hit nearly every highlight from Nowhere and Going Blank Again. I only wish they would have included one or two more from Nowhere like Decay, Polar Bear or Kaleidoscope. That’s a minor qualm when you consider that they played Dreams Burn Down, Taste, Vapor Trail, Chrome Waves, Leave Them All Behind, Chelsea Girl and Drive Blind. 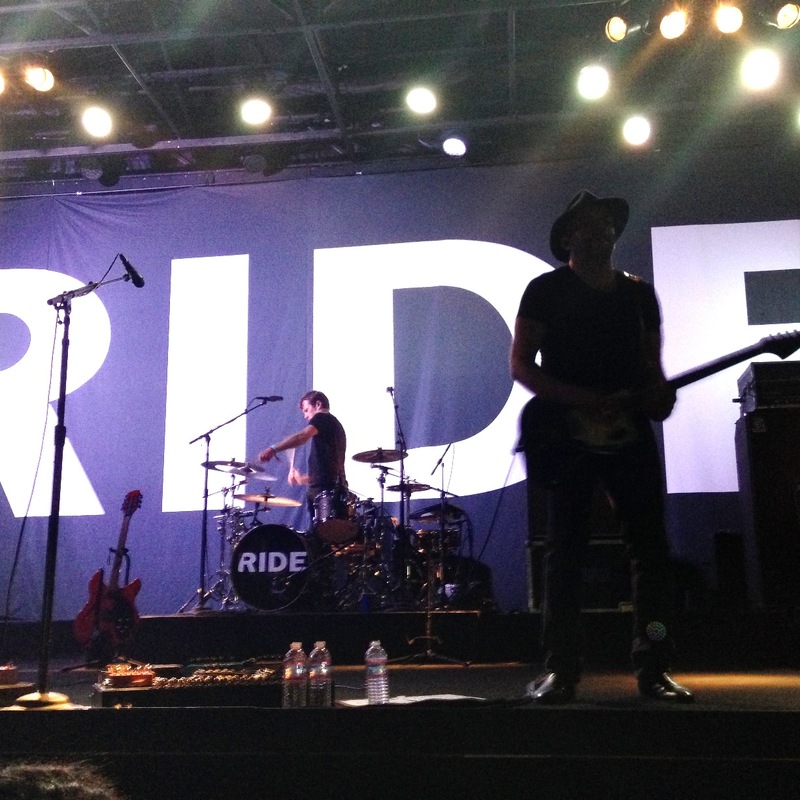 I’m a big skeptic when it comes to reunion shows, but Ride were the real deal. Comparing it to when I saw them on the Going Blank Again tour back in 1992, I would say it was even. Sure, they lacked the youthful bravado of those heady days, and Gardener was missing his rock god locks and sported a fedora to hide the fact. I would argue that they are better musicians today with more attention to making the songs really crack. Bell was playing insane riffs that I doubt he was capable of back then. The rhythm section seemed to own every song, and Gardener’s voice was stronger which gave the often obscured melodies to the songs a bit more sheen than they ever had. During the finale of Drive Blind you could make out a giant grin across Mark Gardener fave. It used to be serious noise that Ride made, now it’s just fun, as it always should have been. Shoegaze bands are a dime a dozen these days which is something I never would have predicted 20 years ago. So the genre lost the battle but apparently won the war, but sometimes the victors get a little cocky. Originally a derogitory term, bands now brandish that tag willy nilly without sometimes knowing what they’re talking about. One of the first and foremost things about the OG shoegaze was that at its heart there were always great songs. It wasn’t just noise. It was verses and big choruses. Bands actually wrote songs first and then bent their tremelo bars around them, instead of many of today’s poseurs who bend their guitars around nothing much. There was a method of songs first reverb second. Baltimore’s Wildhoney adhere to that tried and true approach. Their debut album Sleep Through It is one of the best albums to come out in the shoegaze genre (or any other genre for that matter) in a while. This quintet of youngsters lean in direction of the more ethereal regions, looking to the Cocteau Twins and My Bloody Valentine. The influences may be easy to spot, but they take them and make something slightly different, brighter and alluring. 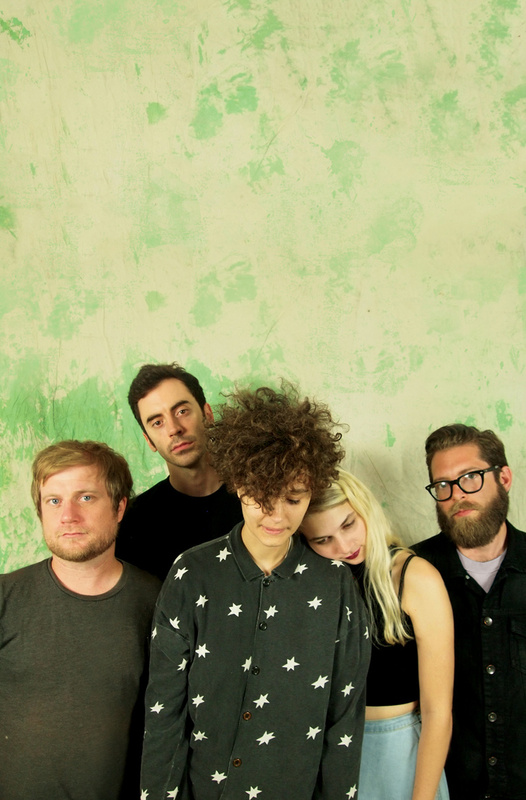 Fall In and Molly belong on any best of shoegaze mix. Their two previous singles (Seventeen and a re-recorded Super Stupid) make welcome curtain calls as well. They even throw in an instrumental tribute to Flying Saucer Attack. These kids know how to deliver quality noise drenched pop with a sense of history and an ear for melody. Do not miss! The album Sleep Through It is out in the US on Forward Records and everywhere else via Deranged Records. Alvvays‘ debut album which was recorded by Chad VanGaalen is a subtle dreamy affair and one of the better records to come out this year. It has elements of shoegaze, but really it’s singer Molly Rankin that makes the record so good. Her voice has a vulnerability to it, while at the same time a strength to it. It’s like she’s singing for her life, but doesn’t want to be too obvious about it. Their show in Neumo’s basement earlier this week was sold out and the band were obviously chuffed about it. Even going as far to say in their heady delight that it was better than the Portland show the night before. Live they have a more substantial sound probably because of the twin guitar attack and Molly Rankin formidable voice that sounds stronger live and loses some of its vulnerability but still sounds great. Kids were pogoing and moshing for most of the set which seemed a bit odd because Alvvays could never be interpreted as a punk or a party band. Dudes who mosh to dreampop I assume have a poor sense of direction and walked into the wrong show. Nevertheless, they went especially went crazy for Archie, Mary Me which is the stand out song on the album, but still not noshing material. The show sort of reminded me of seeing Belly back around when Star had come out where there were bros moshing while couples snuggled together at the edges. 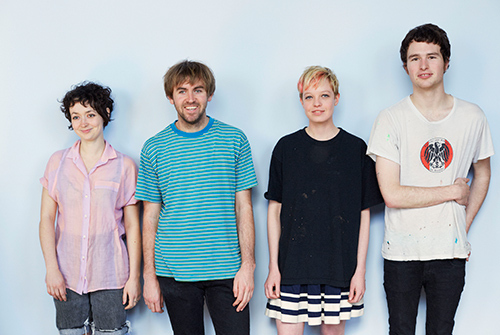 Like Belly, Alvvays seem to have that that crossover appeal that brings out the bros, the lovers and this aging indie kids like myself. For their encore they included a surprising cover of Out of Reach by the Primitives. I’m not sure how many of the youngsters recognized it, but it was exciting to hear a deep cut from an overlooked band. 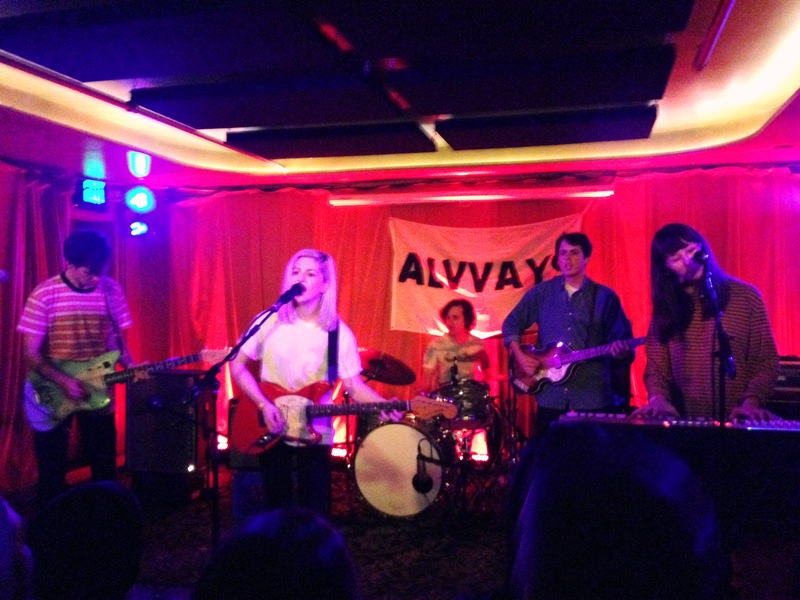 Like the rest of the set, Alvvays added a bit of grit to their version but the innate pop of the song shown through. After two singles that are as good as anything that came out during the the first generation of shoegazing, Baltimore’s ecstasy inducers Wildhoney are not taking their feet off of the pedals. 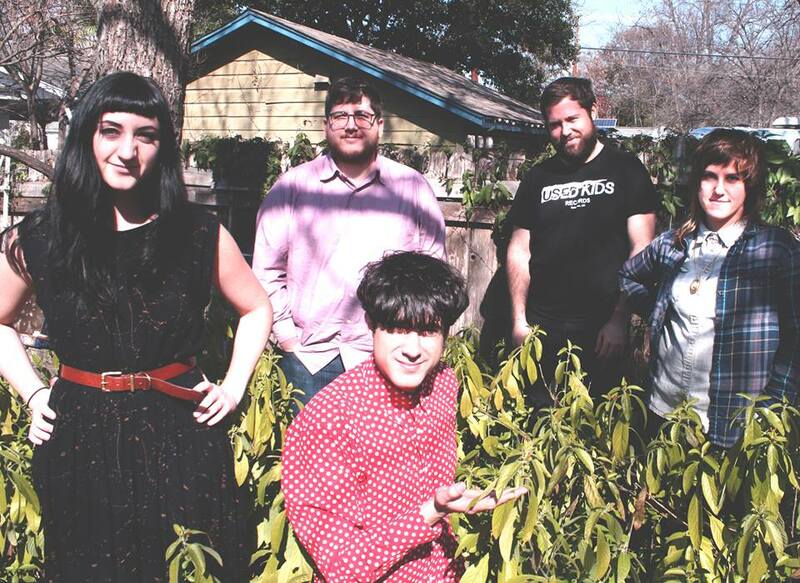 The band is readying their debut album for release in January on Forward/Deranged Records. Fall In is the first song the band have released from the forthcoming Sleep Through It and it may be their best yet. The way singer Lauren Shusterich’s voice floats over the haze of guitars is otherworldly – part Liz Fraser, part Rachel Goswell. 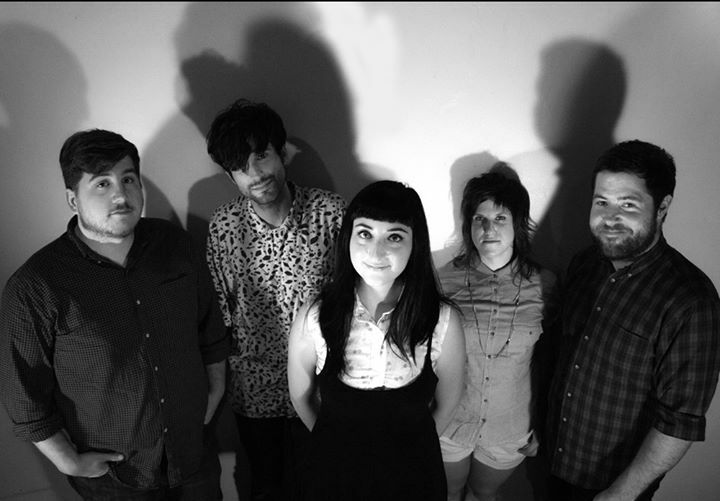 Wildhoney are without a doubt the new shoegaze royalty!